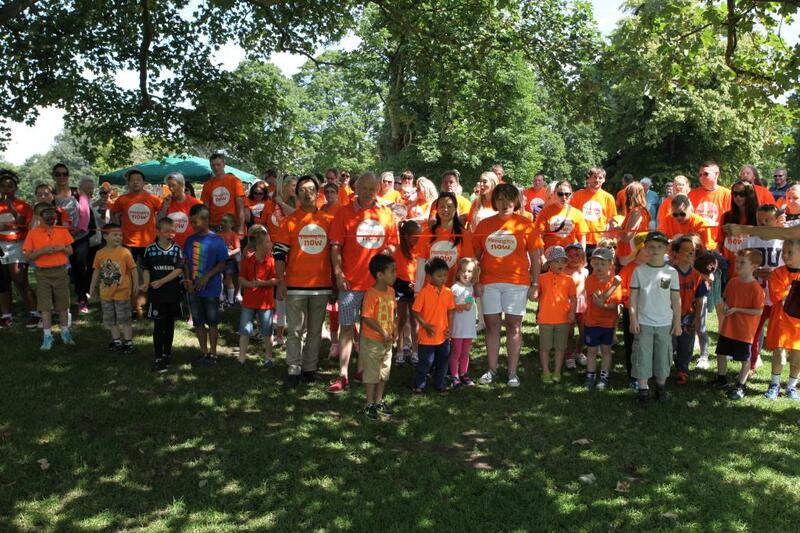 Sunday 29th June turned out to be a truly amazing day to do a charity 1 mile walk in Hugo’s memory at the Nonsuch Park. Simon and I are truly blessed to have such a wonderful school community who we have only known for a year and a half through Jasper attending preschool, reception class and after school club. Hugo was always around me when I went to drop off and pick up Jasper. Just from the collection buckets alone, £440 and still more is to be added to the amazing total on JustGiving pages set up by Jo McAneny and other parents too. A special thanks to Jo, Tor and Gerry for the work that they put in to conceptualise and organise this event. 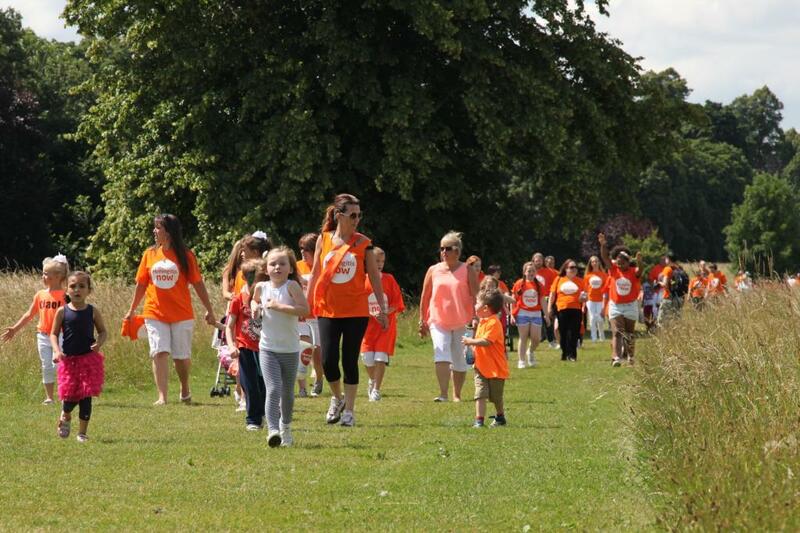 We thank everyone deeply for their work to raise money and for devoting a morning to walk the mile with us. Hearing Hugo’s name mentioned in everyone’s conversations today made him feel alive again. This walk has also brought me closer to the school mums who we have become friends and I am a little more comfortable in expressing my feelings. 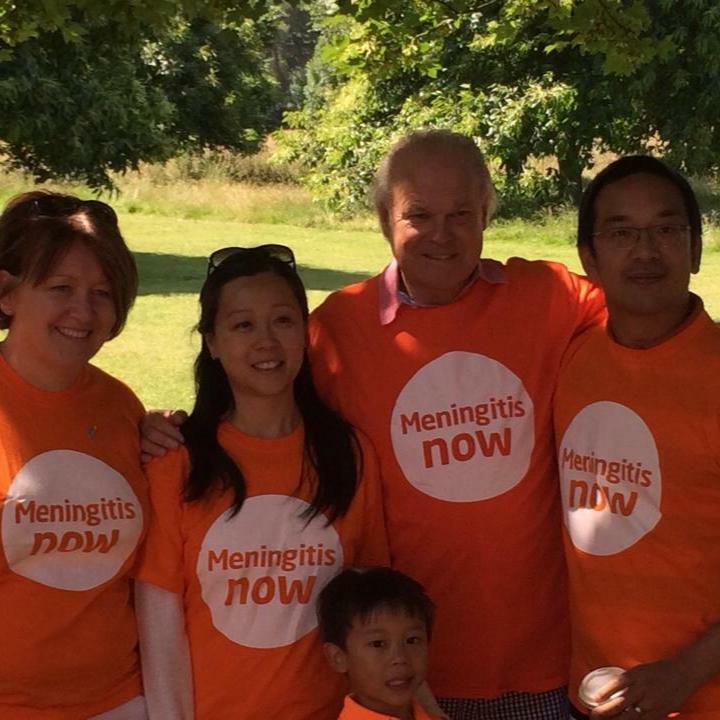 Before the walk commenced, Jo McAneny,myself, Steve Dayman (founder of Meningitis Now) and Simon said a few words. We thanked everyone for being there and gave an update about what has been raised so far. It was so heartfelt to witness the turn out of so many generous people who sympathised with my family and wanted to raise awareness. Steve mentioned rightly that there is always more charity work to be done particularly with the push for the MenB vaccine to be made available to all infants on the NHS (currently only available on private health insurance) as there is currently no vaccine for this strain of Meningitis. The kids had great fun. Just before the countdown for the walk Simon mentioned to all the children that this is not a race! But of course as soon as the word “go!” had been shouted and the orange ribbon barrier was down, we had over 50 kids charging across the start line! 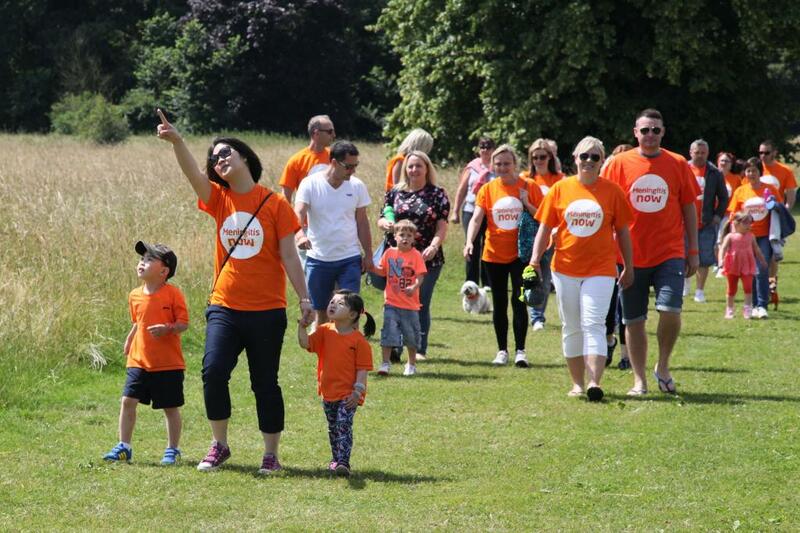 The mass of walkers thinned out naturally and it was amazing to see a sea of orange spreading along the grassy path of the 1 mile route. 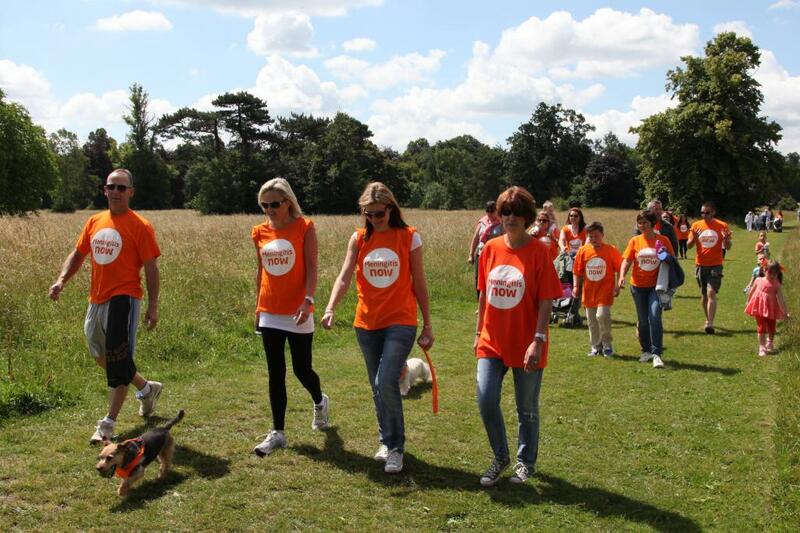 For those based in the Epsom area, look out for a potential article in the Epsom Guardian about Hugo’s walk. Thanks to Emma for putting them in touch with the event. Also, thank you to Andy and Glenn who were running around snapping away with their big boy cameras. 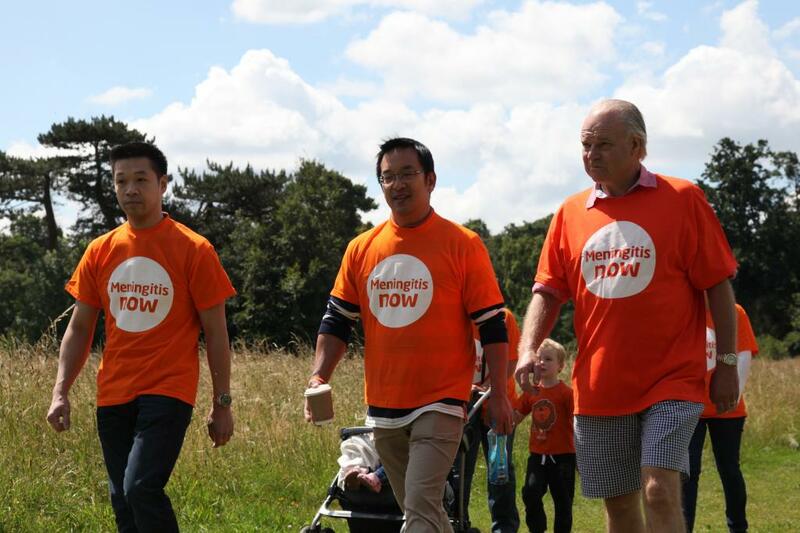 Categories: Charity Event, We Are Four | Tags: Hugo wong, JustGiving, Meadow Primary School, MenB vaccine, Meningitis, MeningitisNow, Nonsuch Park, Steve Dayman | Permalink.